Pat Gilroy makes a number of changes for Dublin’s NFL visit to McHale Park on Sunday. Clucko returns in goal, Philip McMahon comes in to replace Rory O’Carroll (U21 duty on Saturday), Ger Brennan is back at number 7, David Henry replaces Tiernan Diamond & Paul Flynn is in for Blaine Kelly. The Club is running a bus to the game and the ground can be found here. David Henry (Raheny), Michael Darragh MacAuley (Ballyboden St. Endas), Kevin McManamon (St. Judes). Shane Supple (St. Brigids), Conor McCormack (St. Marys), Neill O’Connor, Hugh Gill (St. Vincents), Kevin Nolan (Kilmacud Crokes), Paul Casey (Lucan Sarsfields), James Brogan (St. Oliver Plunketts/ER), Denis Carrigan (St. Marys), Darren Magee (Kilmacud Crokes), Colm Murphy (St. Judes), Tiernan Diamond (St. Vincents), Bernard Brogan (St. Oliver Plunketts/ER), Dean Kelly (Trinity Gaels), Brendan McManamon (St. Judes), Paddy Andrews (St. Brigids). 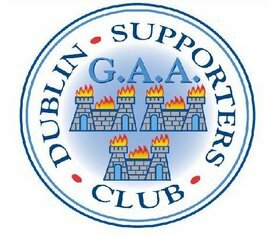 Posted by Dublin GAA Supporters Club at 8:27 a.m.